We have a new chipboard project for you today! It’s been fun experimenting with what we can craft out of this material. 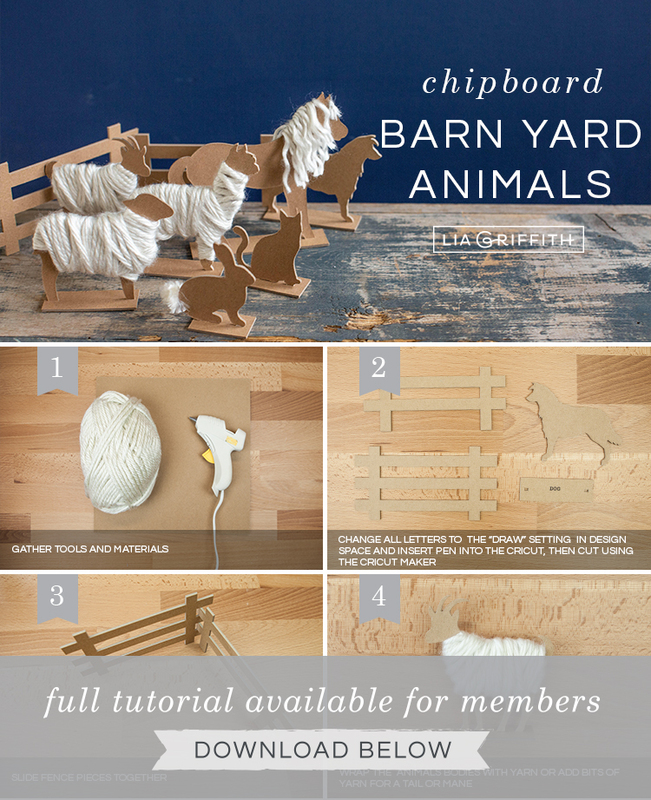 And these chipboard barnyard animals were no exception. The entire set would make a great gift for kids. Or if you have little ones who like to craft, they can join in on the fun! Since we use Cricut’s Knife Blade for chipboard projects, we recommend using a Cricut Maker for this one. But we’ve also included a PDF template if you want to cut these animals out by hand. Once your pieces are cut, all you’ll need is some glue and some yarn to finish them up. 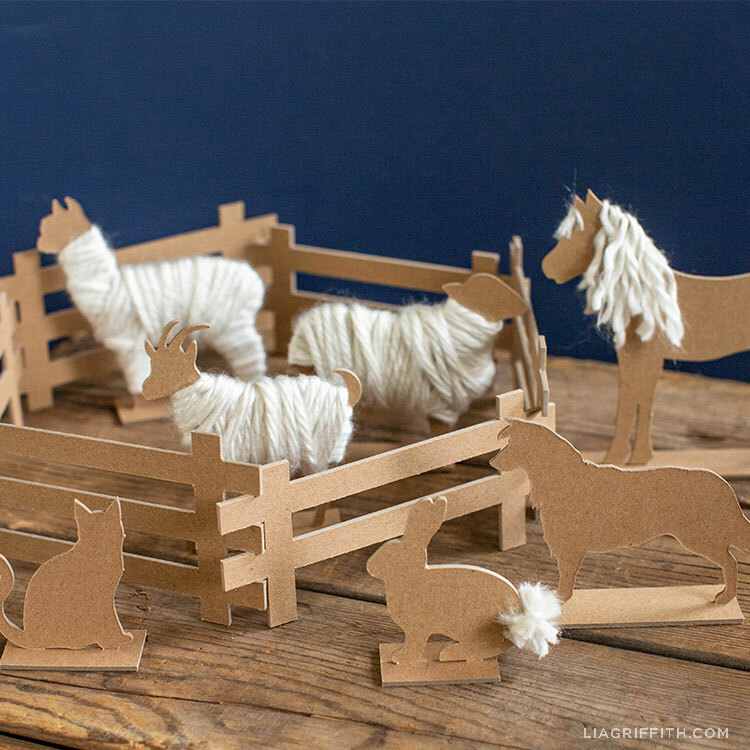 This barnyard set includes the pattern for a goat, horse, sheep, llama, rabbit, dog, and cat. If you want to label the base of each animal, the steps below will walk you how to do that with your Maker. This is also an easy way to turn this fun toy into a reading tool for kids. 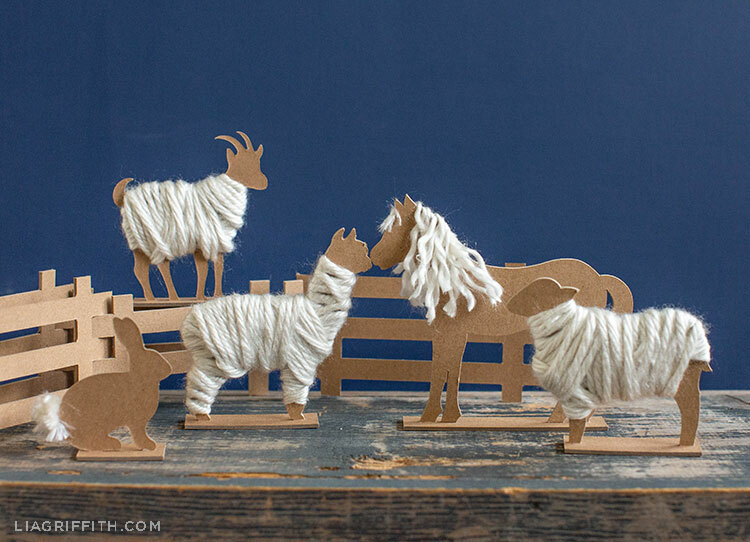 While the Cricut Maker will do a lot of the work, your kids can help slide the fence pieces together, wrap the animals with yarn, and insert them into their bases. Not only is this a great family activity, but it also shows kids how simple and rewarding it can be to make their own toys. It also shows them that they can create their own fun! Gather your craft tools and materials. Then download the template below (for members only). Before you begin cutting, change all letters to the “draw” setting in design space and insert the Cricut pen into the Cricut Maker to label each animal base. Then cut the template using the Cricut Maker. Slide the fence pieces together. 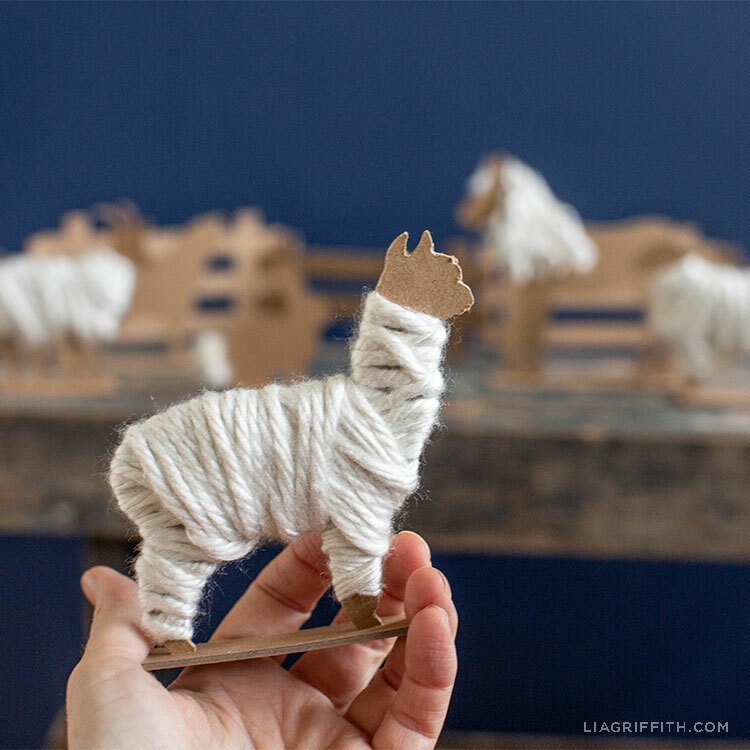 Wrap the animals with yarn or add bits of yarn for a tail or mane (using hot glue to attach). Then place each animal in its corresponding base. Like this idea? We’ve got tons of kids’ crafts you can browse on the site. And we have cute animal stuffies, too. For more DIY ideas and inspiration, connect with us on Instagram, Pinterest, and Facebook. You can also browse our video tutorials on paper flowers, home décor, and more. If you make any of our projects, share them with our crafting community by using #MadeWithLia when you post pictures. Oh no! Unfortunately I’m not sure what the problem is but you should reach out to Cricut directly as it may be an issue with your blade or machine? ?